Architects and artists have always acknowledged over the centuries that Rome is rightly called the "eternal city". Rome is eternal above all because it was always young, always "in its prime". Here the buildings that defined the West appeared over more than 2000 years, here the history of European architecture was written. The foundations were laid even in ancient Roman times, when the first attempts were made to design interiors and thus make space open to experience as something physical. Architects and artists have always acknowledged over the centuries that Rome is rightly called the "eternal city". Rome is eternal above all because it was always young, always "in its prime". Here the buildings that defined the West appeared over more than 2000 years, here the history of European architecture was written. The foundations were laid even in ancient Roman times, when the first attempts were made to design interiors and thus make space open to experience as something physical. And at that time the Roman architects also started to develop building types that are still valid today, thus creating the cornerstone of later Western architecture. In it Rome's primacy remained unbroken - whether it was with old St. Peter's as the first medieval basllica or new St. Peter's as the building in which Bramante and Michelangelo developed the High Renaissance, or with works by Bernini and Borromini whose rich and lucid spatial forms were to shape Baroque as far as Vienna, Bohemia and Lower Franconia, and also with Modern buildings, of which there are many unexpected pearls to be found in Rome. All this is comprehensible only if it is presented historically, i. e. in chronological sequence, and so the guide has not been arranged topographically as usual but chronologically. This means that one is not led in random sequence from a Baroque building to an ancient or a modern one, but the historical development is followed successively. Every epoch is preceded by an introduction that identifies its key features. 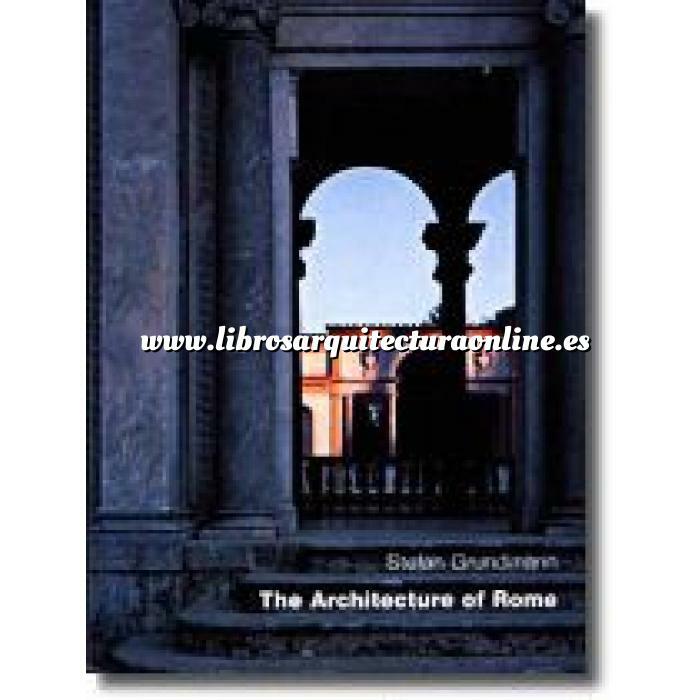 This produces a continuous, lavishly illustrated history of the architecture of Rome - and thus at the same time of the whole of the West. Practical handling is guaranteed by an alphabetical index and detailed maps, whose information does not just immediately illustrate the historical picture, but also makes it possible to choose a personal route through history.